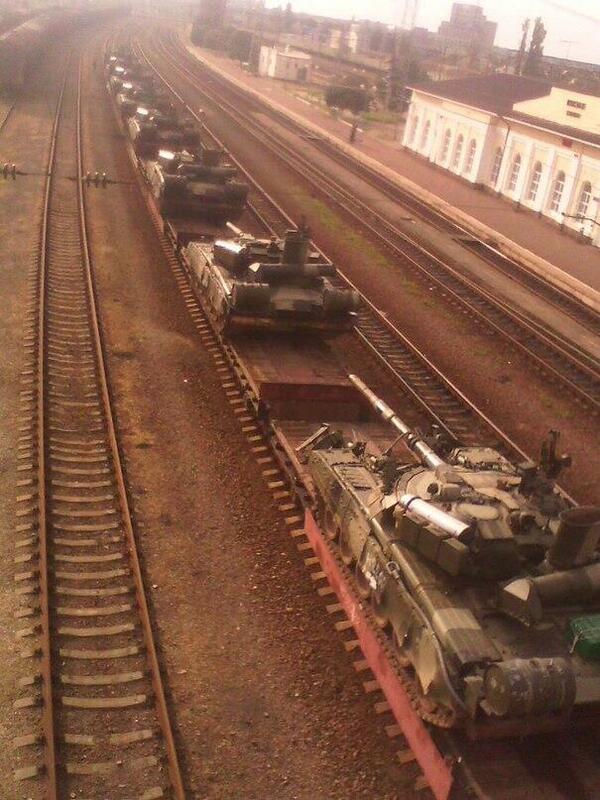 On June 20th 2014 photographs were posted by the Twitter account @AndrijUKR claiming to show Russian armoured vehicles being transported by train through Millerovo, Russia, near the border with Ukraine. 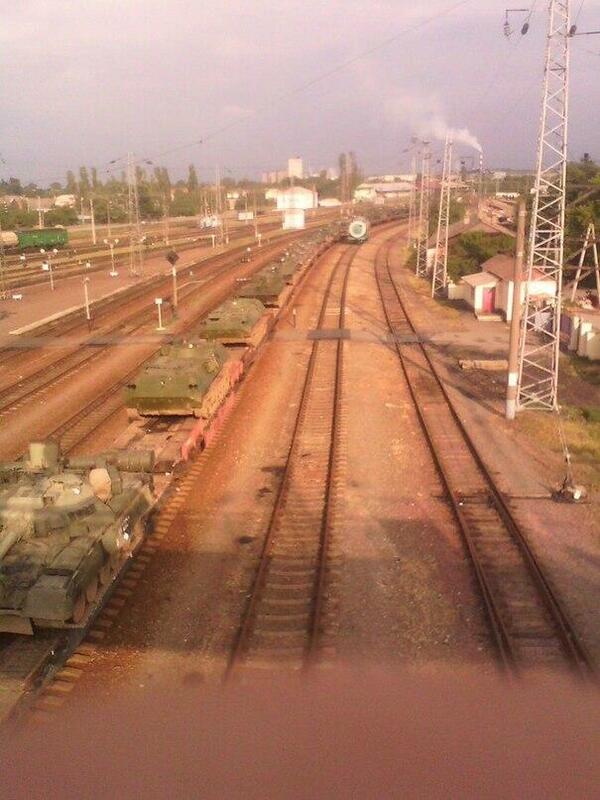 This was presented by some as part of a body of evidence that the Russian military were beginning to invade Ukraine, and the debate began over the authenticity of these images. This image created its own discussion, with some people first noting the sign on the station was different, but that was countered with claims the photo actually showed the other side of the station, and therefore a different sign. Others claimed the station design was reused across Russia, so it could be anywhere. Obviously this would have been an interesting set of photographs if they could be authenticated, but it’s clear there are questions that still needed to be answered. 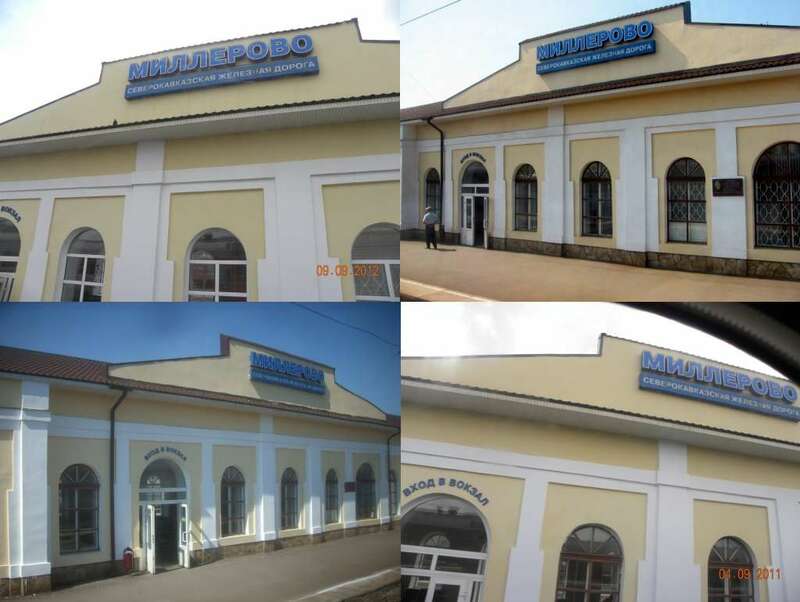 First of all, is the station featured in the photographs really Millerovo station? It can be quickly established the photograph must have been taken facing west, showing the north side of the station, assuming the position of the camera is correctly presented on Panoramio. From this we can say it’s reasonable that the camera is on the bridge, facing northwest, showing the south side of the station. 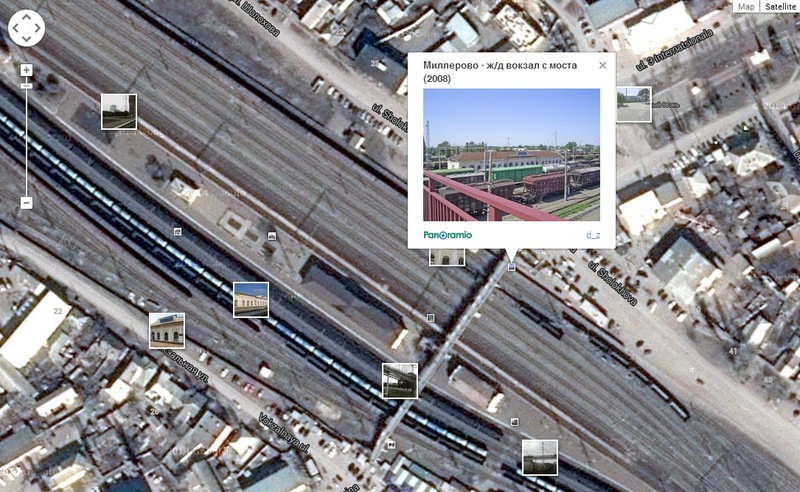 This would support the claim made by some that the Twitter photographs shows the station from the opposite side of the Panoramio photograph, but is there more we can see that would support that theory? 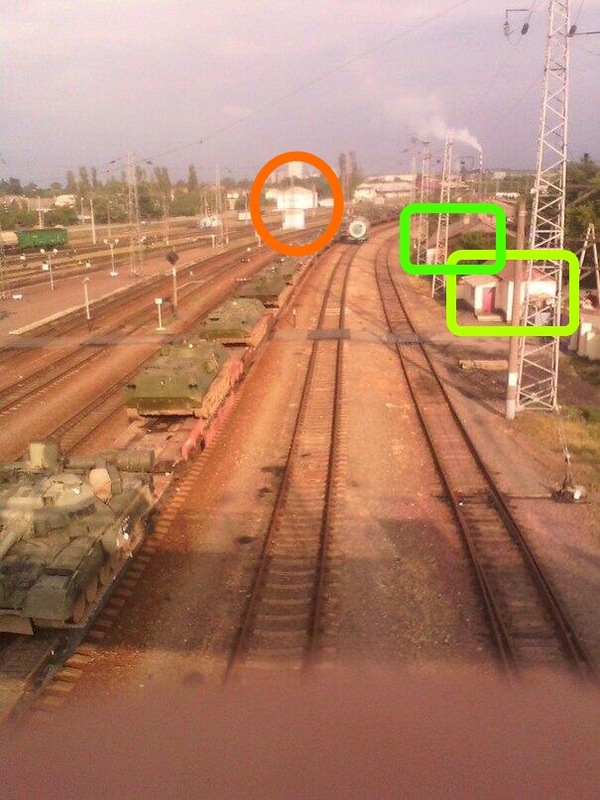 In the below image I’ve highlight the position the Twitter photographs were taken from in red on the map, and the position the Panoramio photograph was taken from in green. 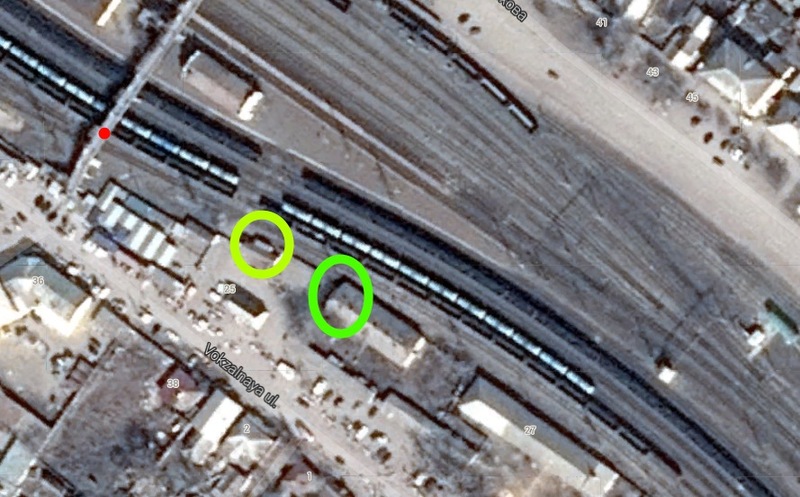 The yellow circles show structures visible above the tracks on the north side of the station, visible on satellite map imagery as being in the same position. The blue circle shows a small park area just northwest of the station, visible in both photographs, with the purple circle highlighting a small building northwest of that, visible in the Twitter photograph. In this next photograph from Twitter we have what appears to be the view southeast. By comparing the photograph to satellite map imagery it’s possible to investigate the assumptions the photograph would be taken near the same location as the other photograph. It’s even possible to make out the shadows of the pylons visible in the photograph on the satellite map, with their position matching in both the photograph and satellite map imagery. 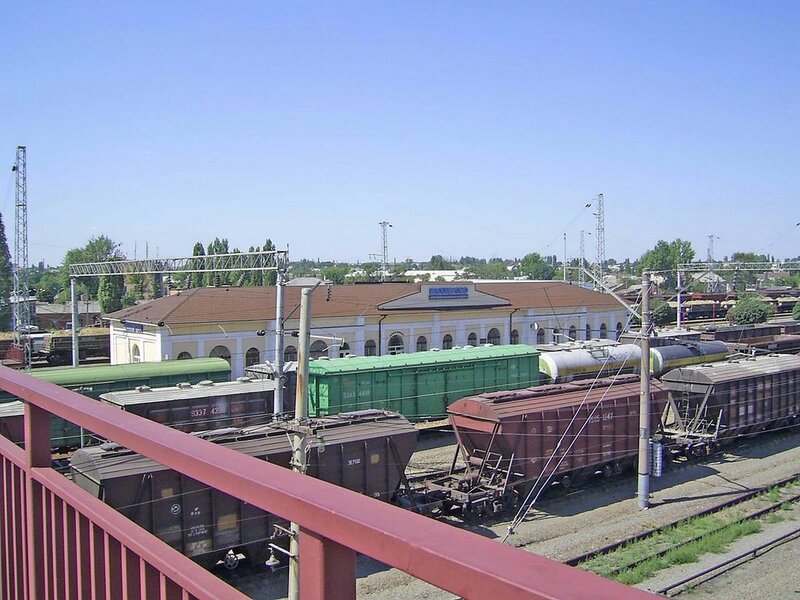 As for the other side of the station Panoramio only has one image, but it clearly shows the sign doesn’t match the sign in the Twitter photograph, and Google searching for “Millerovo station” in Russia brings up other results showing the same sign. What this may suggest is there’s been a renovation of the station in the last several years, and it would seem strange if the sign is changed to something that didn’t match the other side of the station, and the clock removed, so it’s a real possibility that the photographs from Twitter were in fact taken at least 7 years ago. 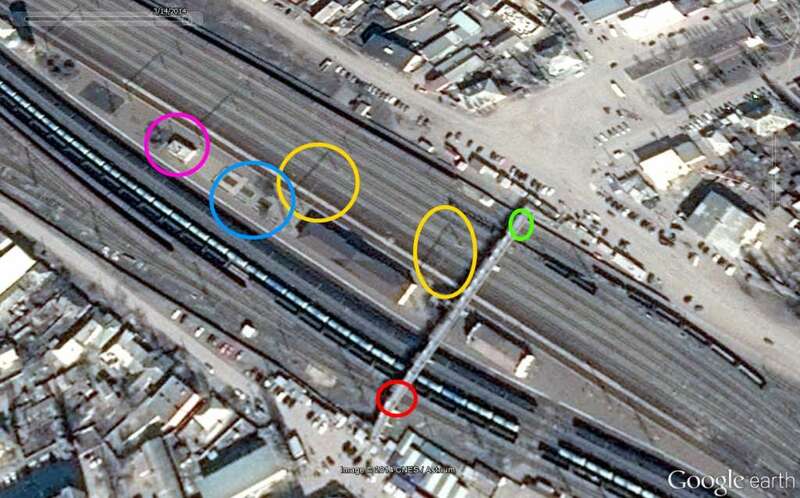 Also, all matched features appears to be from “standard issue” project of Soviet train station that was repeated at least 100s times, many of them with bridges. 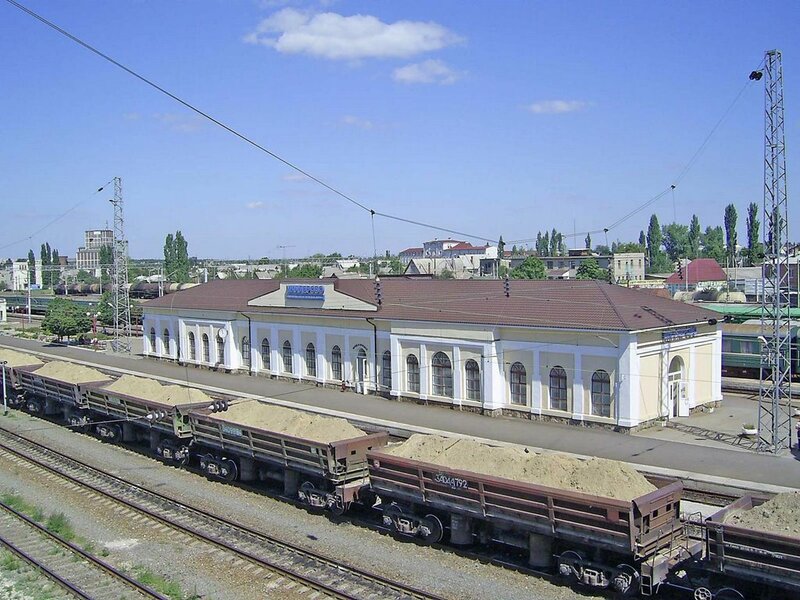 Looks like exactly the same train station, especially if you take a look at the sorroundings in the 2 pictures at the bottom: 2 tall trees and the bigger building (in the top right of the twitter picture).